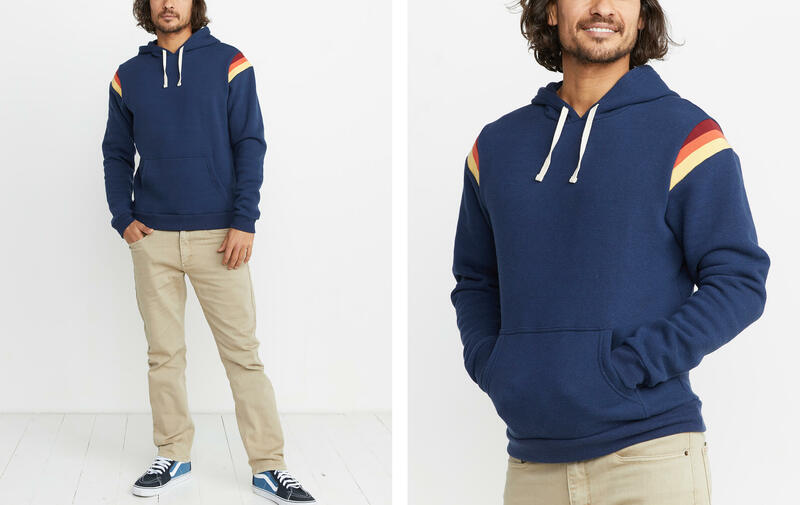 An ML classic, this retro hoodie is updated with our brand colors on the shoulders and a navy body, so you can still totally get this if you have any of our other Banks hoodies. 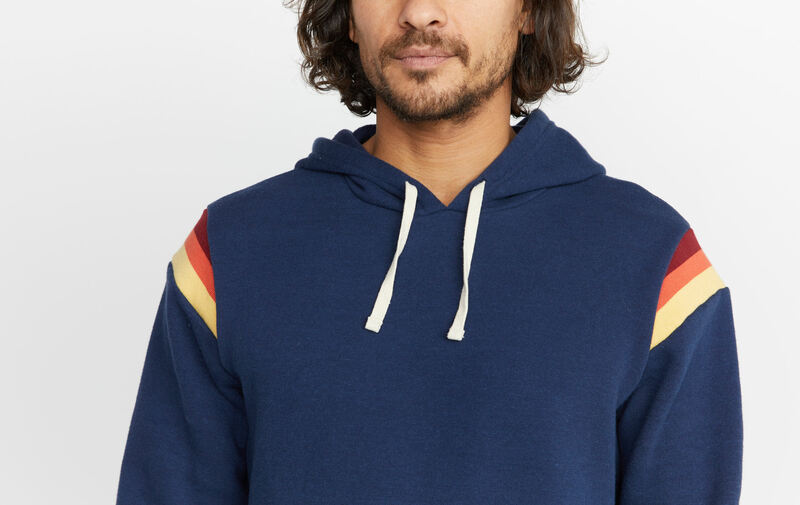 Made with our Signature Tri-Blend fleece for absurd softness. You know how when you're in an airplane and you look out the window and see those puffy, luscious clouds? Ya, our signature Mocktwist Tri-Blend fleece feels just like that. Enough said. Alex, who starts every day with yoga and a pitaya bowl (you can Google it...we had to), is 6'1 and wears a Medium.